Perfectly brewed tea greatly depends on two things—loose-leaf tea and kettle. While leaves are easy to acquire, finding the right whistling teapot or tea kettle can be a bit confusing. Well, why not buy one from the top ten well-known manufacturers listed below? Old Dutch is a provider of the largest collection of tea kettle. 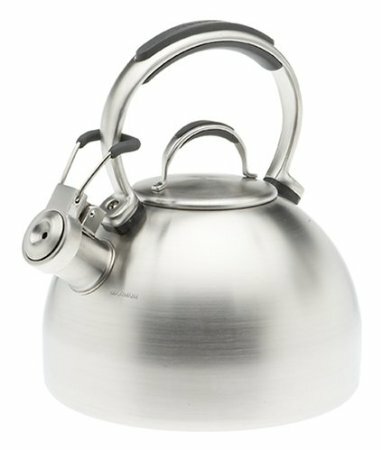 One of their highly recommended products is this stainless steel Windsor whistling teakettle, that has a 3-quart capacity that comes with a whistle built right on the cover. It is low maintenance, as it only needs to be hand washed. Corelle is known for producing quality glassware and dishwasher that boasts of beauty and strength. 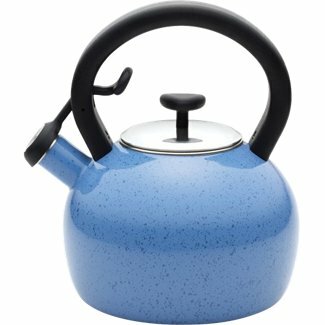 So there is no doubt that this whistling teakettle with porcelain-on-steel construction displays the same level of standards. This item has a 2.5-quart capacity, heat-resistant handle, and harmonic hum-whistle. Copco was originally a company that manufactures porcelain-enameled, cast iron cookware. 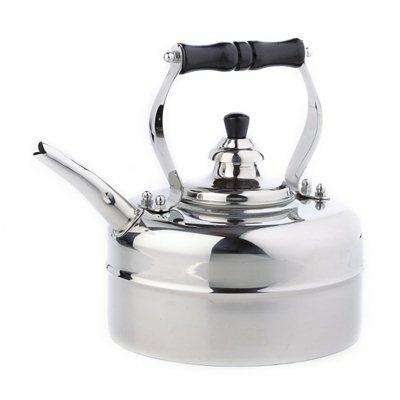 Today, it is one of the leading producers of teakettles, one of which is this whistling teakettle that is made of stainless steel. Its 9-inch base heats water quickly, while its S-shaped spout makes for easy pouring minus the drip. Paula Deen is known for her many works—American cook, restaurateur, author, and cooking show host, among others. 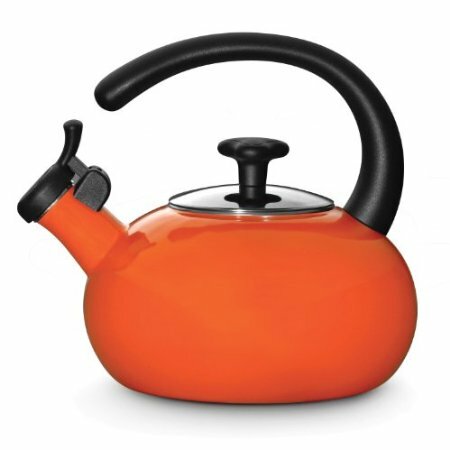 An addition to the list is this signature 2-quart whistling kettle that comes in five colorful porcelain exterior. It is designed with a comfortable handle and secure-fitting lid. Faberware has been around for over a century, continuously providing quality and durable products to its customers. 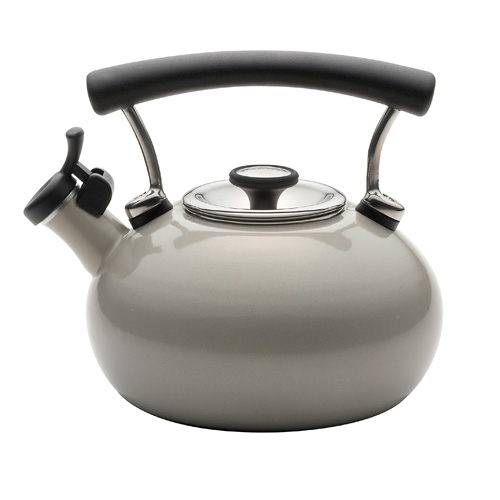 One of its offerings is this classic dome-shaped stainless-steel whistling kettle. It comes with a round handle, spring-loaded spout cap, whistle, and stay-cool synthetic handle. Rachel Ray is a celebrity cook, author, businesswoman, and television personality with a lifestyle program bearing her name. She is also a product endorser. 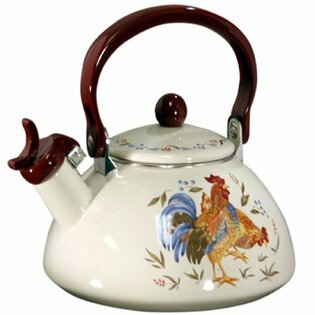 Attached to her name is this whistling teakettle that comes in three colorful porcelain exterior. It has a 1.5-quart capacity, whistle, removable lid, and spout lever. Circulon is best associated with non-stick saucepans, frying pans, and other cookware that is manufactured by Meyer. 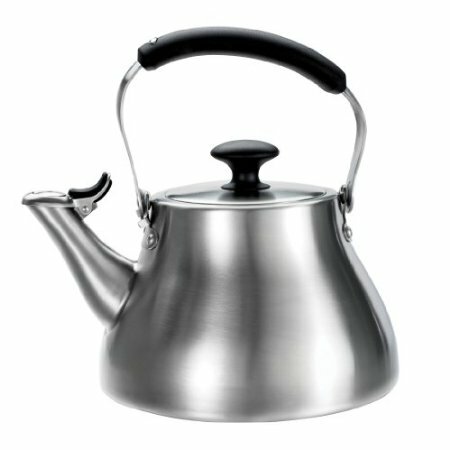 Now, a 2-quart whistling kettle also bears the name. It features glossy, stain-resistant surface, easy-grip handle, and tight-fitting lid. As an added bonus, it has a lifetime-limited warranty. 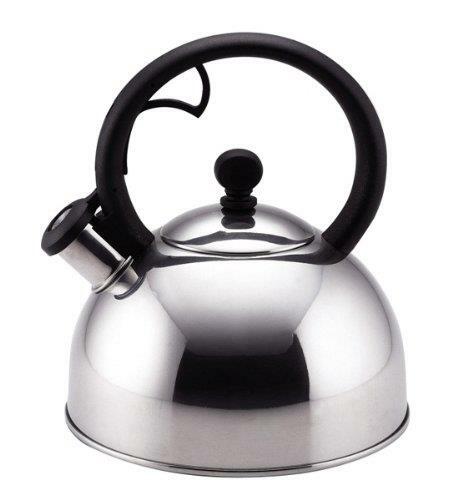 OXO is one the most trusted brands in kitchen appliances, including teakettles. This particular product has a high-grade stainless steel construction, large lid opening, loud whistle, and silicone touch points on handle and spout. What makes this an amazing product is the rotating lid that makes for easy filling, pouring, and storing. KitchenAid is a brand of home appliances that is owned by Whirlpool Corporation. 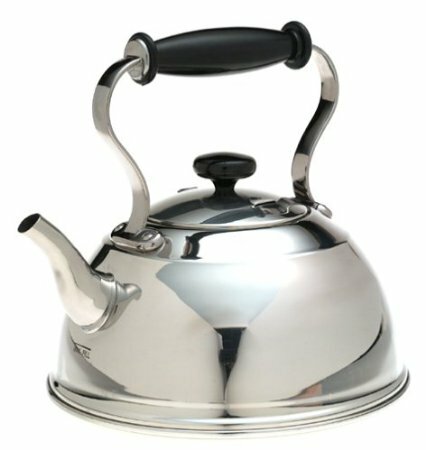 From stand mixers, it has also produced some of the quality teakettles, including the 2-quart stainless steel Gourmet Whistling Kettle. Apart from the round-shaped lid, it also features soft-silicone grip, pouring-spout lever, tall loop handle, and whistle. Medelco Inc was a family owned and operated business founded in 1976, primarily producing medical electronics. When one of its distributors closed up shop in 1981, it gave Medelco patent rights for the universal coffee carafe. 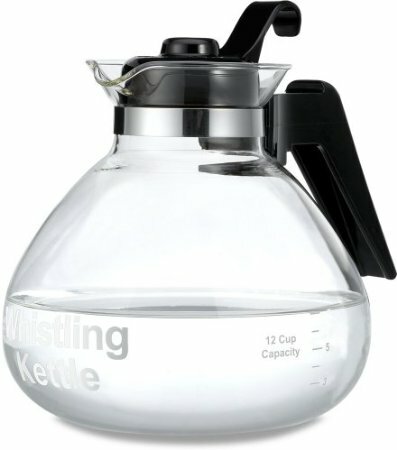 Now, the company manufactures a lab-quality, thermal-shock resistant whistling kettle made of Borosilicate glass. It has a 12-cup capacity, removable lid, drip-free spout, and metal heat diffuser for electric range coil use.